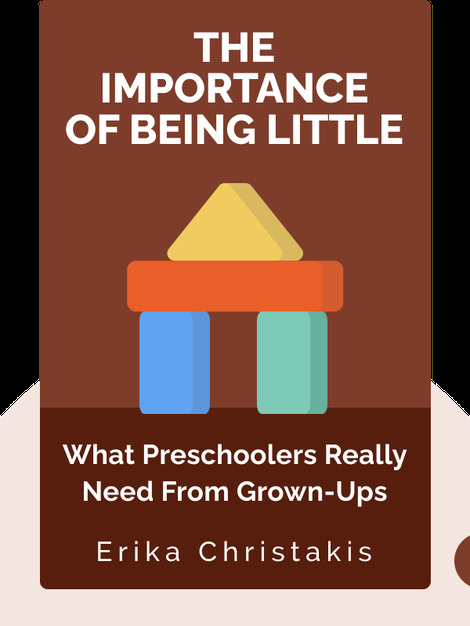 The Importance of Being LIttle (2016) is all about the powerful and curious minds of children, and the way our current preschool educational standards of testing and standardized worksheets limit their natural skills. These blinks explain why a focus on the personal development of each child is a much better strategy. 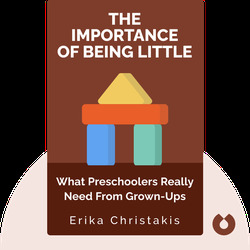 Erika Christakis is a parent and a teacher who, in addition to teaching preschool, has experience in the public health sector. She currently works in the field of child development and education policy at the Yale University Child Study Center.